We just need to raise the final £5,000 to complete the stairway before we lose any more survivors. Sunday 1st March will see the Bethnal Green Community come together for a memorial service at St John on Bethnal Green Church (next to BG tube station) at 2pm, to mark the 72nd anniversary of the worst day in Bethnal Green history. On 3 March 1943 a crowd of people entered Bethnal Green tube station which was used at the time as an air-raid shelter. After the searchlights went on and an anti-aircraft battery a few hundred yards away in Victoria Park launched a salvo of a new type of anti-aircraft rockets the crowd surged forward. Someone tripped on the stairs causing many others to fall. 300 people were crushed into the stairwell within a few seconds, 173 of them died and over 90 were injured. The worst civilian disaster of the 2nd World War. A tireless fundraising campaign has been in full swing for the past eight years to raise £500,000; money needed to build a beautiful Stairway to Heaven Memorial dedicated to the memory of the people within the community of Bethnal Green who lost their lives that fateful day. Additionally it will honour their friends and family, survivors, and the emergency and support staff who gallantly helped their community through such a terrible experience. Patrons of the charity include former Bucks Fizz member and TV presenter Cheryl Baker; and Ground Force and DIY TV presenter Tommy Walsh. Since last December local and national businesses, and the local community have raised over £40,000, and it will take just £5,000 more to complete the memorial, and finally give the elderly survivors and families peace of mind, that they and their loved ones will never be forgotten and will remain at the heart of their community. ‘We urge businesses to join us and donate £200 to sponsor a conical and have your name and website details put against one of the victims on our website and facebook pages. Of course any personal donations are also welcome’. ‘Everyone will be welcome at our Memorial Service, and we look forward to seeing you there’. 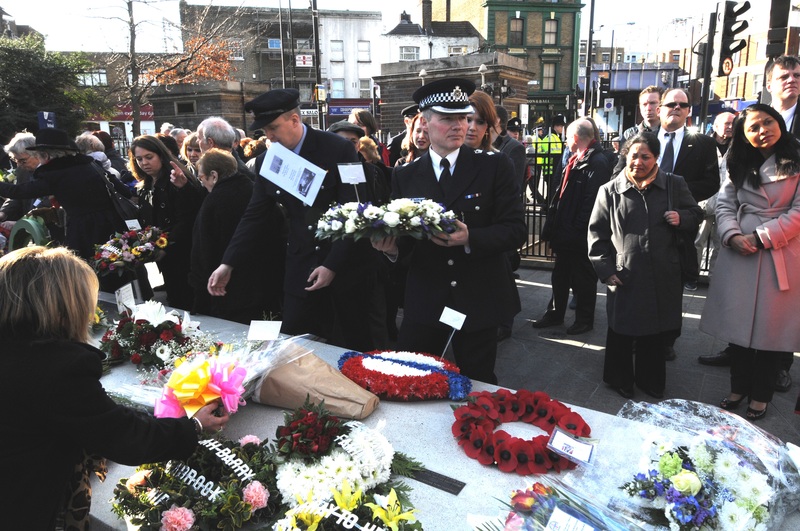 For more details of the fundraising, and the memorial service visit the website www.bethnalgreenmemorial.com. You can call Treasurer, Derek Spicer, on 07722 162168 or email info@stairwaytoheavenmemorial.org to donate or via the website. The Facebook group can be accessed via www.bethnalgreen.info. Or send a cheque payable to Stairway to Heaven Memorial and post to Derek Spicer, 28 Priory Close, Pilgrims Hatch, Brentwood, Essex CM15 9PZ.